The title of L.E.T.’s solo exhibition “No walls for old men” should not be taken so literally. 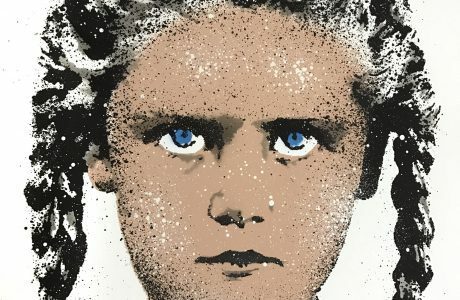 Although he is one of the longest active Stencil artists in Germany and thus one of the “old hands” of the still young art style Urban Contemporary, but he is not old yet – and he also he must not worry, that he doesn´t get walls. 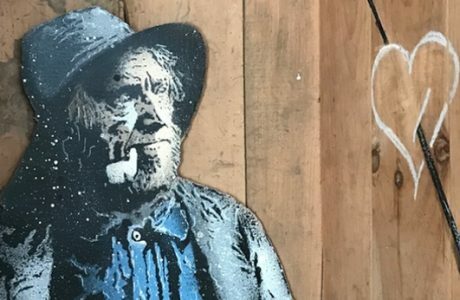 The Urban Art Museum Munich (MUCA) recently dedicated his own space to him and this summer he traveled from one festival to the next to install his interventions in the urban space on site. The title is rather an example of L.E.T.’s way of working. Citing, deconstructing and modifying the known. After L.E.T. 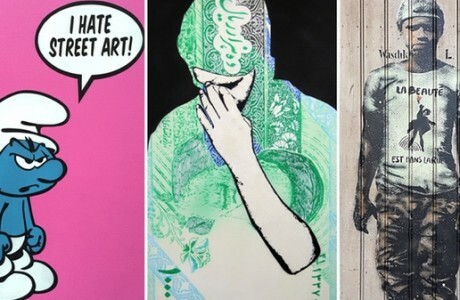 has now participated several times in the „Stencils Only“ exhibitions “No walls for old men” is his first solo show at Pretty Portal gallery. The visitor can expect new and well-known works, a mixture of installation and presentation. 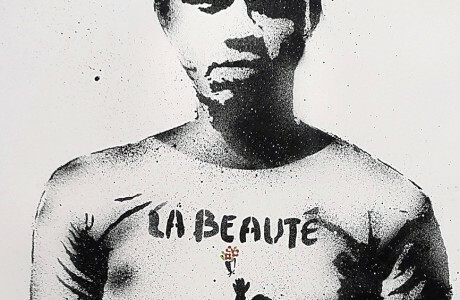 The French artist´s abbreviation L.E.T. is broken down as „Les Enfants Terribles“. He has rightly gained this pseudonym. Traditionally, outsiders and eccentrics from the artist scene were called like this. L.E.T. is an urban artists of the first hour. Since 1992 he is active on the street and shapes the image of some cities, i.a. that of his hometown Düsseldorf. He sprays his motifs on paper and then usually unsolicited them as a “paste up” in the city. In his works, he picks up on all kind of pictures, which he provides with his strikingly charming and provocative statements and thus assigns them a new meaning. Black and white figures with few color accents emphasize these statements. L.E.T. takes a critical look on everyday topics and thus reveals abuses in our consumer and fun society in a winking way.